BHU Result 2019 can be checked here. 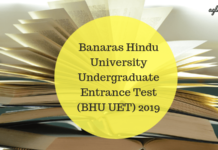 The result of Banaras Hindu University (BHU) 2019 – 2020 entrance exams will be announced by the university after the exam is conducted. The performance of candidates in the entrance exam determines their position in the BHU Merit List, on the basis of which they are offered admission. Entrance examination held by the University is designed to test a candidate’s aptitude in the relevant subjects. Taking into account the number of correct and incorrect answers marked in the exam, and marking scheme, the BHU 2019 Result will be announced. Candidates who will appear in any of the Entrance Test can check BHU 2019 Result of respective course as per schedule. To check result, one has to enter required login details. Result details for BHU UET, BHU PET, BA LLB, MBBS / BDS, BHU PAT, BHU B.Sc Nursing, FMS MBA, DM / M.Ch, MDS, MD / MS, M.Pharm, BHU RET, M.Ed are given here. 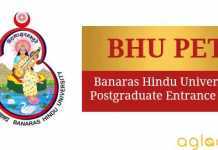 The University announces the BHU Result 2018 of the candidates who appeared in the entrance test. BHU Result 2019 will be made available on BHU’s Entrance Test Portal, the link for the same will be given on this page after the result is published. The result usually follows BHU 2018 Answer Keys by using which candidates already get an idea of exam score. Candidates qualifying in BHU 2018 entrance exam as per BHU 2018 result can take part in BHU counselling for admission and seat allotment. Check dates regarding the same form the table given below. BHU RET To be announced! Link to check the result will be available here! The university releases Answer key for candidates to cross-check the answer marked b them in the entrance test. It is advised that the candidates must check this answer key issued online by the university as it will help them estimate their score in the examination, also in case a candidate finds any mistake in the answer key he/she can report the same to the university. Results will be announced only after all the objections are clear. To check the result, candidates will need roll number as mentioned in the admit card. The results for all the courses at BHU will be declared online on the website only. 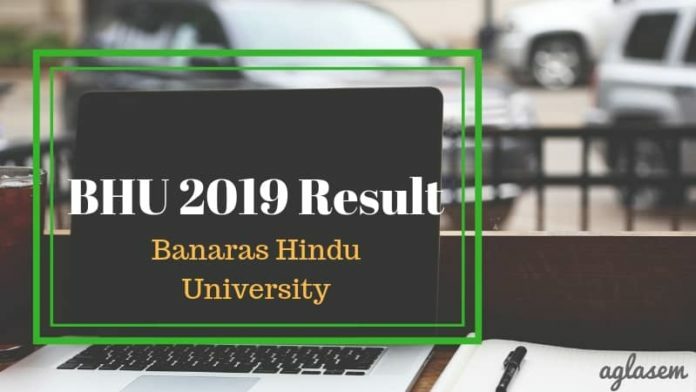 Know here how to check BHU 2019 Result. As per the course click on the link to download the result. Take a printout of the result for reference. There shall be negative marking in entrance tests for all Courses. Marks shall be awarded for each correct answer while mark shall be deducted for each incorrect answer. The unattempted question will be awarded zero marks. The candidate shall be selected in order of merit on the basis of aggregate marks secured in the Entrance Test provided he/she fulfils the minimum eligibility criteria and minimum qualifying marks in the test. The University reserves the right to fix minimum qualifying marks for different courses and/or different categories. Score and Merit List: The score obtained by the candidates will be indicated in the rank card or result that they will download. As per the score obtained by candidates a meri list will be prepared by the university. Candidates as per their rank in the merit list will be called for the counselling. Counselling: The Final round for admission to BHU is the counselling that is conducted for candiadtes to allot them seats. As per the rank of candidates in the merit list, they will be called for the counselling round. When the results will be declared??? Bhu arts, social science,agri agricul. The Result for BHU UET will be announced between 15-20 June. When the result will be b.sc math declared? ?? It’s seems that results should not be upload. I have got 142 marks in bcom bhu ug in general category. Will I get admission in bhu? Plz help me mai jab apna roll no. Dalti hu to absent q show ho raha. Please tell when the result of bhu b.sc nursing will be declared.